Awakening is taking responsibility for my consciousness . Awakening is the realization that I need NOT ask anyone's permission to live as the gift that I am. Awakening is recognizing that living life unattached to a specific outcome offers contentment & freedom. Awakening is accepting that I am seldom upset for the reason I think I am, and that each "trigger" offers a mirror for what needs healing in me. Awakening is being 100% responsible for who I am and the life I am creating. Awakening is giving up my addiction to what the world thinks about me. Awakening is living life through Acceptance, Enthusiasm, Abundance, GRATITUDE & JOY, celebrating both the unanswered and unknown questions. Awakening is “being” (vulnerable) vs. doing. Awakening is rejoicing in my essence, celebrating the integration of my sexuality, gender identity and spirituality. Awakening is Shifting to Total Acceptance of Living as the Gift that I am, Living MY Truth...Owning My Power! in our world. There is a Power in ALL of Us! ALLOW for Whatever Spark It Takes. To Have This Freedom for Eternity. <?xml:namespace prefix = st1 ns = "urn:schemas-microsoft-com:office:smarttags" />Berry, "out before Ellen was in," has over 30 years of experience as an entrepreneur, consultant, trainer, and coach. She has facilitated leadership programs and dynamic workshops in relationship, self-awareness, authentic connections and undefended love. She has a master's degree in health and fitness, and is finishing her doctorate in human sexuality. She and her spouse, Robynne Sapp, just completed their year-long journey, Gay Into Straight America, with the intention of engaging hearts and minds, creating authentic connections, and dissolving differences that separate us. You can reach her at dotti@GLBTcoach.com. 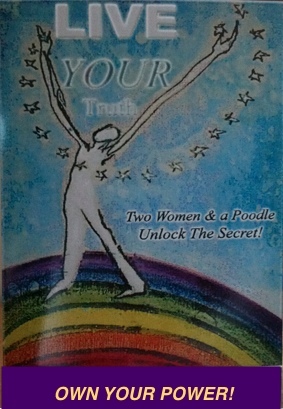 Visit her website, GLBT Coach. Dotti & her spouse, Robynne Sapp, were legally married March 7, 2004, in Portland, Oregon. Their spiritual ceremony was July 31, 2004. Click here for their story. Gay Into Straight America, was the initial project of their non-profit, Stand UP Speak Out . Discover how to become a Stand UP Speak OUT Wind Changer. Take the Stand UP Speak OUT Challenge. Please contact Dotti below about using the above material. This material may be shared with others through email and posting on other newsletters and/or on websites, as well as printed in publications or newspapers; however, it must be shared in its entirety without any changes made. Appropriate credit listing the copyright with her name, email (dotti@GayIntoStraightAmerica.com) , and website addresses (www.GayIntoStraightAmerica.com and www.GLBTcoach.com) must also accompany the article.